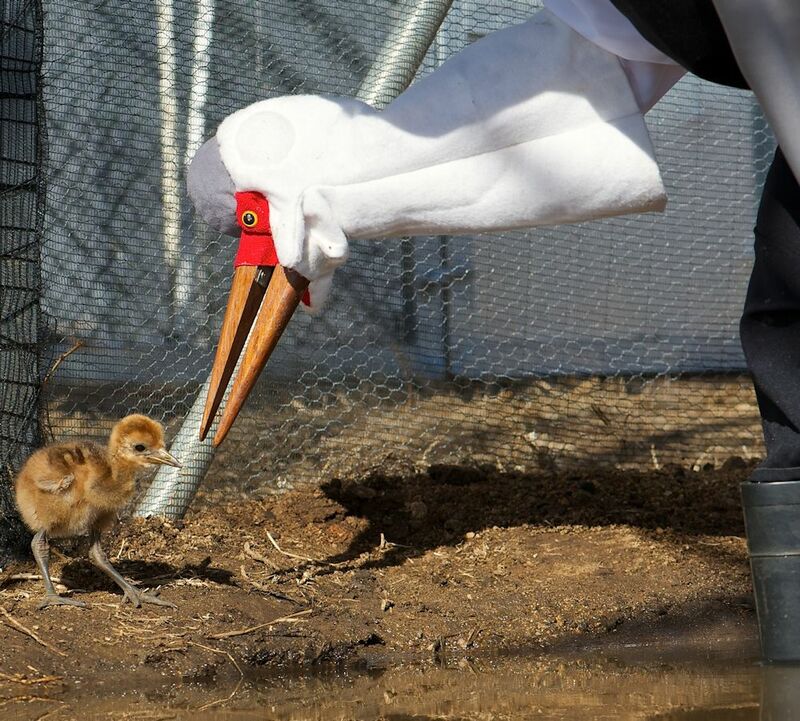 Gobble was the very first Wattled Crane chick to hatch in the brand new Nursery in Nottingham Road, KZN, and is jolly hungry! Wattled Cranes are one of the 5 Critically Endangered Birds in South Africa. 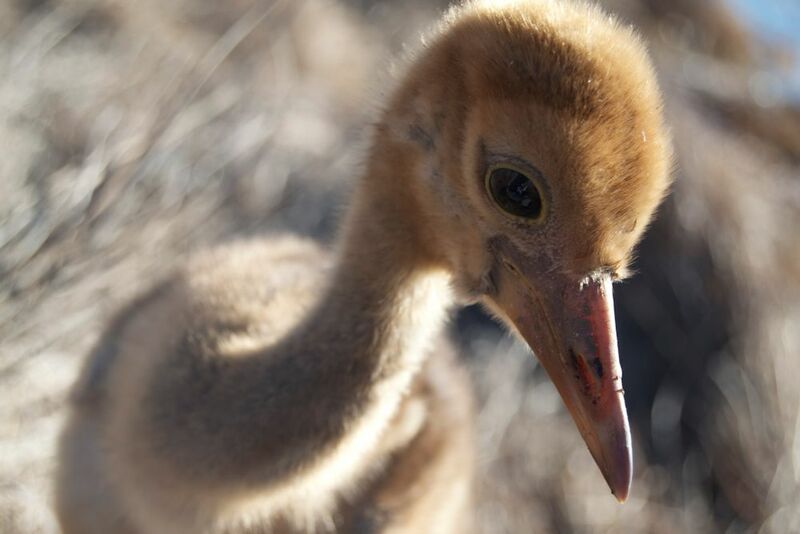 In the 1990’s, concern about the rate of decline of the species led the South African Crane Working Group to carry out a trial of hatching and rearing abandoned second eggs for release. These trials deduced a ‘one-by-one approach’ to be the best approach for releasing Wattled cranes. 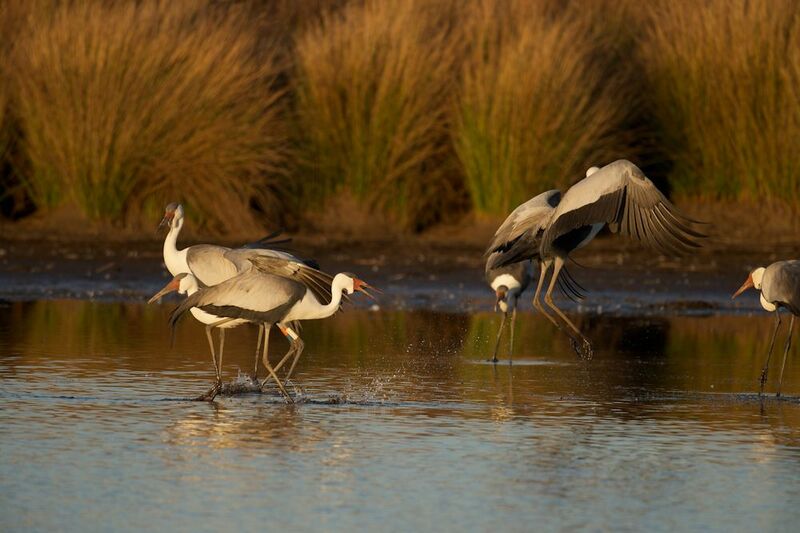 In 2000 the ‘Wattled Crane Recovery Program’ was initiated. Following the International Union for Conservation of Nature (IUCN) Re-introduction Guidelines, a captive population was formed from second egg collections. Twenty percent of Wattled Crane nests lay two eggs but only one egg is reared. The second egg, which would otherwise be abandoned, is rescued, while the egg is still viable. Today the Wattled Crane Recovery Partnership’s five partners are the African Association of Zoos and Aquaria, Endangered Wildlife Trust, KZN Crane Foundation, Ezemvelo KZN Wildlife and Johannesburg Zoo. Two years ago the KZN Crane Foundation based on the Bill Barnes Oribi and Crane Nature Reserve in Nottingham Road took a bold step and committed to be the partner organisation to rear the Wattled Crane chicks for release. 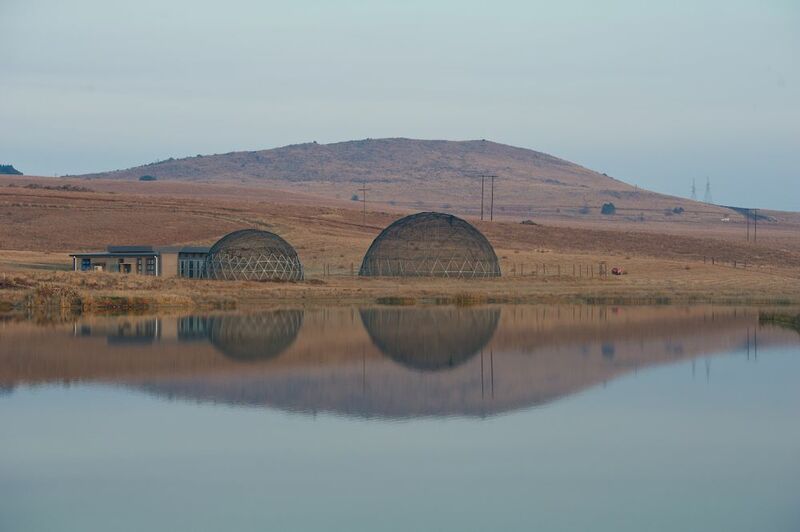 In June this year the new rearing facility was launched and the local community, farmers, crane enthusiasts and sponsors gathered to celebrate. Gobble hatched at 10pm on 9th of July. 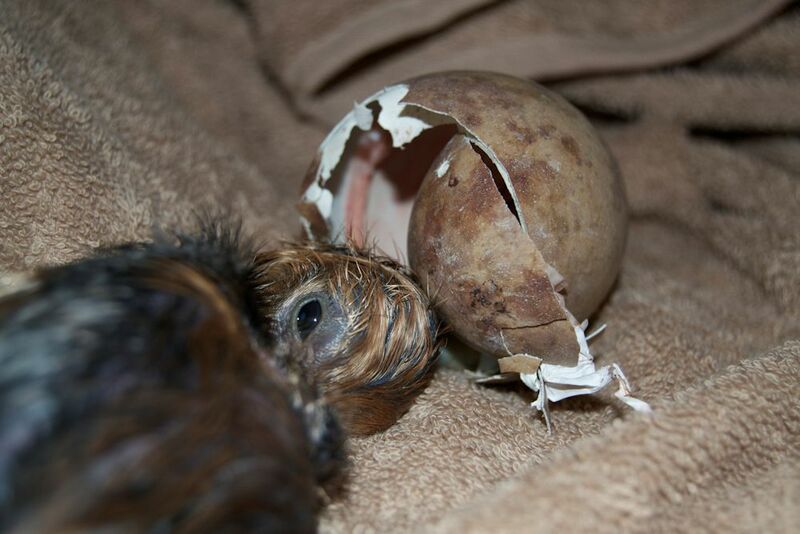 This first chick was named Gobble due to his enormous appetite for food and enthusiasm for life. His hatch weight was 170 grams and a month later he weighed a staggering 842 grams. He is the first of many chicks to be reared in the state of the art, environmentally constructed building, enjoying daily walks in the domes with ‘mama’ dressed in a crane costume to ensure he does not become habituated to humans. Being a Crane Mama is an onerous task and not for the faint hearted. Lara Jordan, Wattled Crane Re-enforcement Manager, is absolutely shattered after so many nights of little sleep. 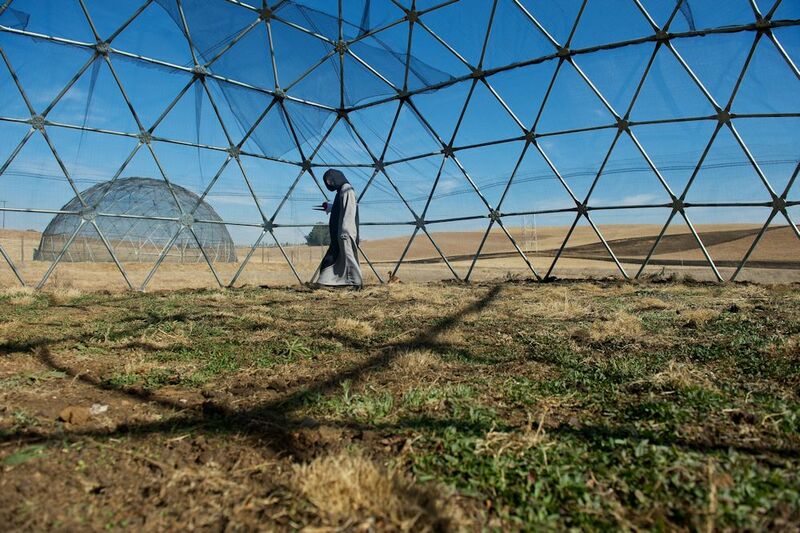 She says: “Hand rearing is about going beyond what you thought was humanly possible. I’m not sure that there is enough coffee in the world to keep us going!” Nkanyiso Ndlela, Education Officer, has helped out a couple of times and commented that to be a good hand rearer you need to be calm, patient, physically fit and really love birds. Gobble has since been joined by Ivan and Rusty, so there are lots of mouths to feed. 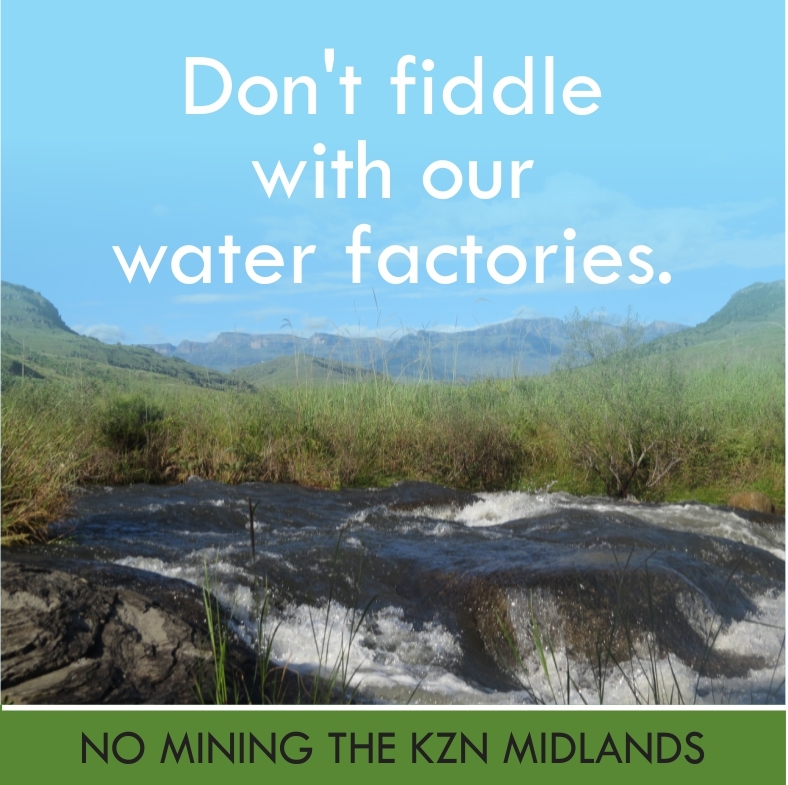 N3TC is very proud to be associated with this project, as part of their Legacy Programme, providing exceptional care, great nutrition and plenty of exercise to Gobble and his friends and all the Wattled Crane chicks that will follow them over the next 15 years. This entry was posted in KZN Midlands Wildlife and tagged wattled crane on October 13, 2014 by Midlands Conservancies Forum. Wow ! This takes food gardens to a whole new level! And we thought being a human Mama was difficult! 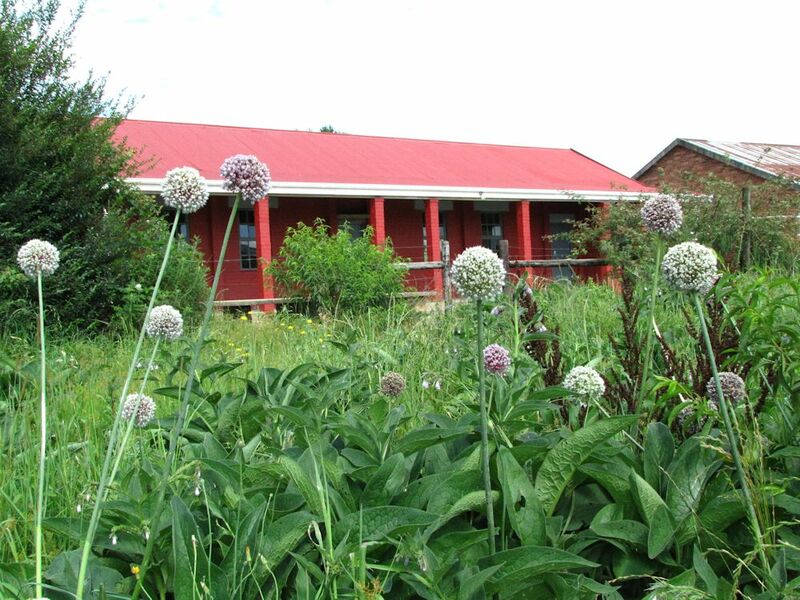 Reblogged this on Worlds View Conservancy. Well done Lara and your trusted team for your tireless efforts! It’s such great work that you’re doing. We absolutely love reading stories like this – thanks Nikki for keeping us all in the loop!